Nature — Canada is one of the most naturally beautiful countries in the world, full of picturesque forests, mountains, and lakes that make it a fantastic place for camping, hiking, or just wandering around and admiring. has produced no shortage of must-visit parks and resorts for anyone interested in skiing, snowboarding, snowshoeing, or any other activity best enjoyed in the cold. Cities — Canada is home to several large, modern cities that anyone with a taste for urban life will be able to appreciate. Cost — The Canadian dollar is generally quite weak in comparison to other currencies, which make it a very affordable option for people without too much money in their travel budgets. Otherwise known as “la belle province” (the beautiful province) locally, Quebec is Canada’s largest province and home to more than 8.2 million people. It’s a 400 year old multicultural hun located along the St. Lawrence River. Often seen as Europe’s North America Quebec has an old European charm and French is the main language spoken here. Quebec is also famous for its vast forests, rolling hills and countless waterways. In fact, Quebec has approximately 1 million lakes and waterways, giving it more fresh water than any other province. With its scenic views, mild climate, and friendly people, Vancouver is known around the world as both a popular tourist attraction and one of the top locations to settle down. It has numerous outdoor attractions like Granville Island and Stanley Park. Vancouver is also one of the most ethnically and linguistically diverse cities in Canada with 52 percent of the population speaking a first language other than English. Vancouver has hosted many international conferences and events, including the 2010 Winter Olympics and 2010 Winter Paralympics. Majestic mountains, sparkling ocean, rainforests and beautiful foliage throughout all four seasons make Vancouver one of the most beautiful cities in the world. As the largest city in Canada and one of the most multicultural in the world, there are countless reasons to visit Toronto. The foodie scene and the celebrated diversity of its neighbourhoods are reason enough to make a trip to the city. Visitors can head to King and Queen Streets to experience award-winning restaurants and funky shops. It’s ever evolving and constantly innovating, there is so much to see and do and it’s a very busy city with people from across the world. Canada has over 40 national parks and out of all of them Banff is the most popular and most visited! Banff national park is one of the first for Canada and each year millions come to marvel at the emerald waters of Lake Louise and the beautiful mountain scenery. Guaranteed this location will be a hit on your instagram feed! Rocky Mountains, turquoise glacial lakes, abundant wildlife, scenic long drives and a picture perfect mountain town and village are what makes Banff National Park so special. Banff National Park receives over three million visitors a year who come visit the park for a variety of activities inclusive hiking, biking, skiing and camping on some of the worlds most breathtaking mountain scenery. Surrounded by incredible mountains, Cave and Basin National Historic Site is a cultural and a historical delight. Not only can you explore the beautiful caves, you can even venture beyond and go on a discovery tour around the dazzling area surrounding the site. The sites famous lantern tours also create a magical atmosphere inside the caves, offering an unforgettable experience. Situated near Blackcomb Mountains, Whistler is one of the biggest attractions for skiers and snowboarders in Canada. The town is situated next to the giant Blackcomb Mountain and is home to Whistler Blackcomb, a famous ski resort. 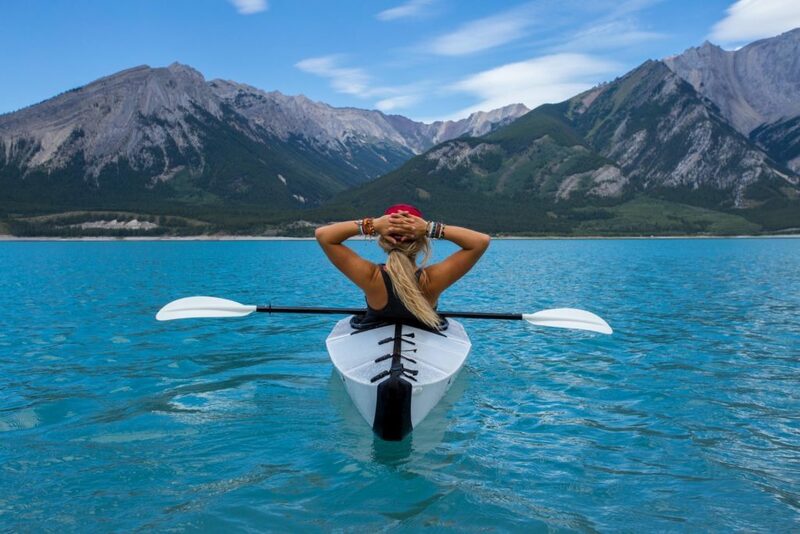 Even if skiing isn’t for you, there is still plenty of the vast, outstanding Whislter to explore.. You can paddle-board on Alta Lake, visit Brandywine Falls, or just relax and enjoy the view from your hotel room. The town is the perfect combination of glistening snowy mountains and mysterious lakes and waterfalls, with plenty of things to do for any kind of traveler. For those looking for a quiet and beautiful site to relax and explore, Thunder Cove Beach is a perfect place. Located on Prince Edward Island, the beach has intimate and harmonious experience, perfect for those who enjoy more relaxed pastimes. While you’re at it, don’t forget to explore the rest of the island. The visitors may enjoy nearby dining and shopping facilities, as well as an art gallery, all located not far away from each other. Le Plateau-Mont-Royal otherwise known as the city of Montreal, is a picturesque borough that is known for looking like the most European city in North America. Plateau Mont-Royal has plenty of photogenic staircases, tastefully decorated eateries, traditional Victorian houses and friendly faces. With every corner you turn you’ll fall in love with Montreal, this city will have your heart in no time. Niagara Falls is the collective name for three waterfalls that straddle the international border between the Canadian province of Ontario and the US state of New York. From largest to smallest, the three waterfalls are the Horseshoe Falls, the American Falls and the Bridal Veil Falls. The Horseshoe Falls lies on the border of the United States and Canada with the American Falls entirely on the United States’ side, separated by Goat Island. The scenery is absolutely breathtaking and will leave you completely mesmerised. Most are Cities in Canada have relatively sophisticated public transport systems so you won’t have any issues getting around. There is a variety of different way to get round such as the buses, light-rail trains, monorails, subway, cars and ferry services, all of which can be used to navigate most of downtown core and surrounding areas. The exact combination of services will vary from city to city as well as prices of tickets. Canada has a variety of different dishes to offer, the reason being Canada has one of the biggest international communities! Whatever cuisine you are craving you’ll be able to find it all across the whole of Canada. 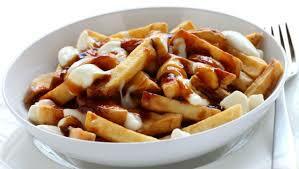 In Quebec, Poutine is slang for “mess” Poutine is a dish of cheese curd, thick cut potatoes and beef gravy. The famous butter tart is a must have for first-time tourists in Canada. This is a single serve flaky pastry crust with a runny, buttery brown-sugar mixture filling. This treat is often called a Canadian donut and is a fried flaky pastry, shaped like a beaver tail; it is usually served with cinnamon sugar or smothered in nutella. Alliancevisas offers a fantastic opportunity to discover & explore the Canadian way of life and culture. This is through the two year visa IEC working holiday visa, where you can live and work anywhere in Canada and do any type of work.